Tradershub, a blockchain based cryptotrading platform connecting millions of crypto users worldwide has successfully been running its ICO since March 6, 2018. The Tradershub team aims to develop a strong, cross-functional, blockchain-based trading platform that beats all the friction points present in the current system, maximizes profits and mitigates the risk through the best trading practices and features. The crypto-finance is growing faster but cryptocurrencies have been taken by some as just a passing fad of insignificance, even in view of its increasing usage and potential. Cryptocurrency investing is becoming a mainstream practice. Around 5.8 million private and institutional investors are actively exchanging tokens and running different transaction networks. The cryptocurrency industry has led to the development of new technologies; however, since technology vendors are serving the diverse parts of the marketplace, it has caused a market fragmentation. The fractured market is bringing operational and cost inefficiencies and creating more barriers for the traders. How Tradershub Addresses These Challenges? 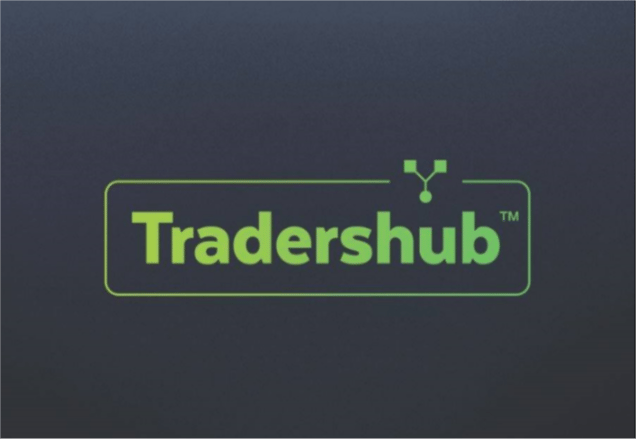 Tradershub, collaborating with traders all across the world, aims to develop a strong trading platform that seamlessly integrates different exchanges along with providing the next generation trading tools in order to help investors and traders trade at all levels within a trustworthy and collaborative trading ecosystem. This way, the platform aims to enhance the cryptocurrency adoption and development of crypto economy for the benefit of the community as a whole. The gist of the platform is its key trading operations, which include portfolio management, market data analysis and trading executions. Tradershub has incorporated with different cryptocurrency exchanges, making it easier and transparent to manage and control cryptocurrency portfolio by using ever increasing trading pairs created on the platform. A range of trading tools and real-time metrics offer users deeper insights and help them streamline the trading process. The platform integrates a range of social elements and leverages social capital via its reward system. It provides a collaborative setting that incentivizes the community members to execute value-added services. These incentives are the tools to encourage the complete establishment and continuity of the social trading environment that enhances the platform’s sustainability. In order to create an advanced trading platform with a unique way of transporting value, the Tradershub Token (THT) will be used as a payment method for all available platform services. Users can use THT to pay trading fees, access advanced trading tools, to invest into successful traders, use automated strategies or to pay for community provided services, such as trading signals, educational content, strategies, webinars etc. THTs fuel a dynamic rewards and reputation social system and as an access key to Tradershub premium content in the form of tools, services, educational content and offers. Premium content will only be available to users holding a certain amount of THT tokens, deposited in a secured wallet. With such infrastructure the platform intends to reward long-term active users for their loyalty.